Inspired by the Indira Gandhi free saree & dhoti distribution scheme, the Karnataka state government has started a new scheme for the people belonging to below poverty line. 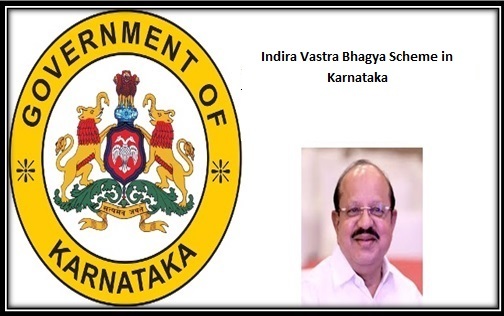 The scheme namely Indira Vastra Vagya Scheme will be started soon by the state government of Karnataka. Under this scheme Sarees and Panches will be distributed to the needy people. Materials: For men poly viscose shirt pieces and poly cotton panches will be distributed. On the other women will receive polyester sarees paired with poly cotton blouse piece. Distribution: These clothes will be distributed through fair price shops across the state. State government will send the lot to each fair price shop in different areas. People will need to show their BPL card and ration card to receive the sarees and panches. Handloom industry: Nearly Lac of families in handloom industry will be benefitted by the scheme. The state will buy cloths directly from them for these handloom weavers and distribute them to the poor people. Implementation: The scheme will start soon once the state finance ministry will give its approval. Before the next election in the state the cabinet will give it a nod. Immediately after the approval the scheme will start implementing. BPL card holders and the people who belong to economically weaker section will be benefitted from the scheme. Also, as mentioned handloom weavers will also get benefitted as the cloths will be bought from them. The state textile department will launch and supervise the scheme in the state.With estimated budget of Rs. 550 Cr the scheme will benefit 1.10 Cr families in the state. People who are economically weaker and unable to afford new cloths for any occasion will be beneficial under the scheme. Tamil Nadu state government has started a similar scheme for the occasion of New Year called Pongal. Before Indira Vastra Bhagya Scheme, the Karnataka government had implemented Indira Gandhi Saree Dhoti Scheme, under which the people belonging to poor section had received free saree and dhoti from state government.